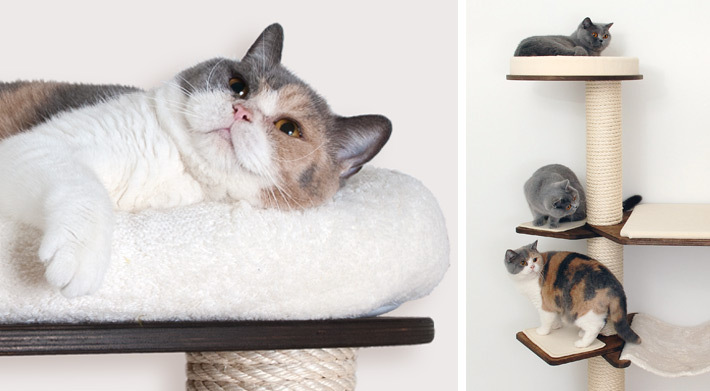 Every Profeline scratching tree is available in carpet and with washable velcro cushions. Some of the covers for TS1 steps are only available in velour carpet. 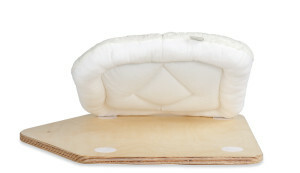 The washable velcro cushions are available in “natural”, and are made from Profeline snuggle cotton. Profeline snuggle cotton is perfect for your cat’s needs thanks to its woven reverse and the 8mm long open fibres. The fabric regulates temperature, and, thanks to the high percentage of cotton, does not generate a static charge. Your cat can knead it and snuggle against it. The padded cushions and little beds are fluffy and soft, and can stand up to lots of washing and tumble-drying. Our snuggle cotton can be compared to high-quality hand towels – it’s only that our fabric quality is not based on that for terry towelling, but on that for cut products – which means that cats’ claws can’t get stuck in the fabric. Profeline snuggle cotton is woven and stitched for us in Germany. 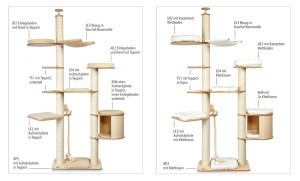 Made in Germany quality – for your cat’s wellbeing! Washable at 60°C and suitable for tumble drying. AE2 and LR2 modules have a rim, and are supplied with a washable velcro bed with a rim, art. 1012 NA. Couches covered with carpet are available in many colours. Our robust velour carpet is industrial quality, and produced by the Balsan company from France. “Les Greens Confort” quality is set apart by its particularly short, dense pile. The carpet is comfortably soft and easy to clean by vacuuming. The underside of the carpet is covered with a new generation anti-bacterial protective layer based on silver ions: Balson SilverCare, natural protection against bacteria and mould. The particularly short pile guarantees simple care – because cat hairs can’t get tangled in long chenille fabric. Even if there’s an accident or your cat is sick, this won’t soak into the carpet: it’ll stay on the upper surface, and can be wiped clean with a damp cloth. Stubborn stains can be easily removed with some bicarbonate of soda or baking powder added to the damp area. Please avoid using carpet cleaners – your cat uses the couch on the scratching tree for many hours each day, and can absorb residues of these cleaning chemicals via its fur and paws. NB: Not all carpets are equal! One important aspect is the distance between the needles when the carpet is in production. The closer together, the better quality the carpet. The number of loops is determined by the number of stitches in the carpet. The distance between the individual stitches is called the stitch length. The distance between needles and the stitch length gives the pile number. The higher this number, the better quality the carpet. In addition, the quality of the yarn is important. Cheap velour carpets are mostly made from polypropylene and polyacrylic yarns. The polyamide used by Balsan for our carpets is much better quality. It is now absolutely your choice whether you prefer a scratching tree with covers you can wash in the washing machine – or a scratching tree you’d prefer to vacuum clean. With both versions, you can also remove small quantities of cat hairs with a damp cloth. Of course, the look of the tree also plays a part in deciding which of the covers to choose. 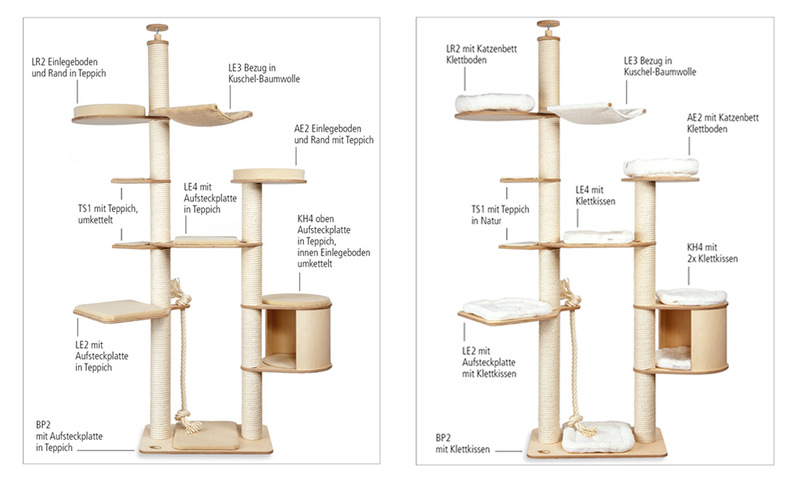 Versions with velcro cushions make the scratching tree look cosy. Please note that washable climbing cushions are only available in “natural”. Versions with velour carpets make the scratching tree look very elegant. The carpet covering for the couches is available in various colours. The round lying spaces with a rim have their edges fixed onto the base plate for safety reasons – all other covers can be changed after a few years. This means you can also change the colour of your tree from time to time.